Made with the Highest Quality Standards. Single-jacquard lace has unique depth and texture, with crisp pattern detail and excellent clarity. Double-jacquard lace, knitted with more yarn, offers even greater pattern definition and with more substantial weight. Alpine lace is produced by a specialized process which gives it moredimension and loft. Clipped embroidery lace is the product of another unique, innovative process in which the primary lace design is knitted onto a lighter lace field, and then clipped to create the look and feel of hand embroidery. Boucle is twisted yarn of varying weights that when woven, replicates the look of hand-crochet. Coarse-Gauge lace features excellent pattern deifinition, created by using up to 12 needles per inch in the knitting process. Fine-Guage lace, crafted with 13 or more needles per inch, offers the ultimate in beauty and intricate design. 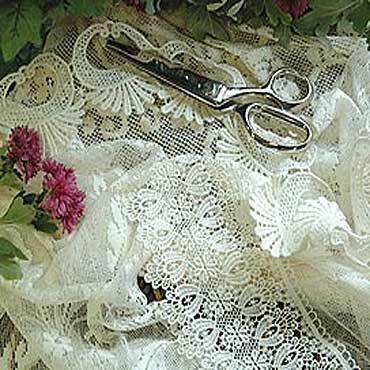 Traditional weight embodies the quality and soft hand, long associated with most Heritage Lace patterns. Heavy weight lace is similar but with more substance and loft. Fabric content: 100% easy-care polyester. Made in U.S.A.
Care: Machine wash warm, gentle. Do not bleach. Damp dry only, them lay flat to dry. Little or no ironing required.